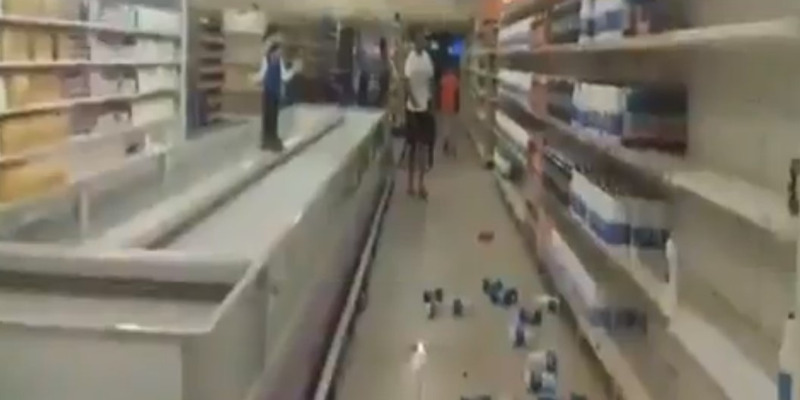 Screenshot/TwitterThe moment a magnitude 7.3 earthquake struck a supermarket in Venezuela. A powerful magnitude 7.3 earthquake struck Venezuela’s east coast on Tuesday. According to US Geological Survey, large earthquakes in the region are rare, and Tuesday’s was the largest in over a century. A powerful magntitude 7.3 earthquake struck Venezuela’s east coast on Tuesday, shaking houses and sending tremors throughout the Caribbean. 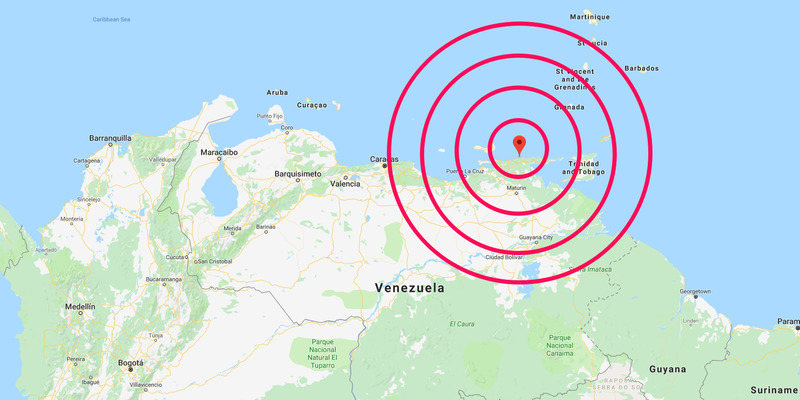 According to the US Geological Survey (USGS), the earthquake originated 13.5 miles (22 kilometers) from Rio Caribe, a popular fishing spot along Venezuela’s coast, at a depth of 76 miles (123 kilometers). 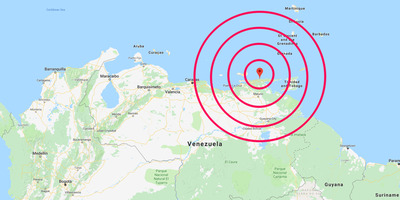 Google Maps/Business InsiderThe quake originated 13.5 miles (22 kilometers) from Rio Caribe, Sucre off the coast of Venezuela. The US Pacific Tsunami Center canceled warnings of possible tsunamis along the coast near the quake’s epicentre. On Monday, Venezuelan President Nicolas Maduro devalued Venezuela’s currency, the bolívar, by a whopping 95%. and pegged it to the the government’s oil-linked cryptocurrency, the petro. The moves aims to stave off rampant inflation of more than 1 million per cent a year, though many predict the move is unlikely to provide a quick fix.